Buy Champak (Golden Champa) - Michelia Champaca L. (Magnoliaceae) Raw Herb - benefical in Carminative,antispasmodic, demulcent,antiemetic, diuretic. Botanical Name : Michelia champaca L.
Tamil Name : Amariyam, Sambagam, Sembagam, Sempakam, Sempuga, Shampangi, Vandumarmalar, Canpakam, Shampangi-pushpam, Shanbagapoo, Campakam, Canpakappu, Campanki, Ilai campanki, Shampang, Shenbagam, Shanbagam, Sanbagam, Champakam, Chembagam, Akacampanki, Akantakaram, Ancanam, Atikantam,Shenbagapoo. Common Name : Champak, Sapu,Golden Champa. Sanskrit Name : Anjana, Atigandhaka, Bhramaratithi, Bhringmohi, Campaca, Campaka, Campakah, Campakam, Campeya, Chambunala, Champaka, Champakapushpam, Champeya, Deepapushpa, Gandhaphali, Hemanga, Hemapushpa, Hemapushpika, Hemapuspaka, Hemavha,Kamabana, Kancana. Hindi Name : Campa, Campaka, Champ, Champa, Champac, Champaca, Champe-ke-phul, Champaka. Malayalam Name : Campakam, Cempakam, Champacam, Champakam, Chempakap-pu, Chembagam, Chembakam, Champa, Champaca, Champaga, Champak, Chempacam, Chempakam. Kannada Name : Champaka, Kendasampige, Kolasampige, Sampage-huvvu, Sampige, Gandhaphali, Kolu sampige. Telgu Name : Campangi, Campangipuvvu, Champakamu, Champakmu, Champeyamu, Gandha-phali, Gandhaphali, Gangaravi, Hemangamu. Bengali Name : Champa, Swarnachampa. Marathi Name : Sonchampa, Champa, Kudchampa, Pivalachampa, Sonachampa, Sona champa, Chamfo. Flowers are bitter, demulcent, antipyretic, diuretic, antiemetic, carminative; useful in scabies, leprosy and gonorrhoea; mixed with sweet oil applied in eczema. Decoction of flowers or oil of the seeds considered useful in flatulence. Fruits are beneficial in dyspepsia and in renal disease. Champa oil from flowers finds application in cephalalgia, ophthalmia and gout. Seeds and fruits are applied for healing cracks in feet. 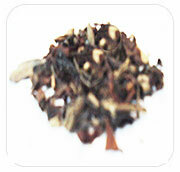 Dried root and root bark are employed to clear bowels and in menstruation troubles. Aromatic Properties:Champaca emits a unique warm fragrance which promotes a peaceful state, reducing stress and allowing one to relax and breathe easily. It is especially useful for moments of tranquil contemplation. Champaca's nature is to remind us of the Divine in all things. Michelia champaca is an evergreen tree, native to South and Southeast Asia. It is best known and cultivated for its strongly fragrant yellow or white flowers. The flowers are used in Southeast Asia for several purposes. They are floated in bowls of water to scent the room, as a fragrant decoration for bridal beds, and for garlands and hair ointments. The flower is the main scent present in the commercial "joy" perfume, and is sometimes commonly called the "joy perfume tree". Flowers—bitter, carminative,antispasmodic, demulcent,antiemetic, diuretic (used for dysuria),antipyretic. Fruits—used for dyspepsia and renal diseases. Dried root and root bark—purgative and emmenagogue. Fruits and seeds for healing cracks in feet. The ethanolic extract of the stem bark showed hypoglycaemic activity in rats. Stem bark and roots yielded an alkaloid liriodenine. Root bark yielded sesquiterpene lactones (including parthenolide andmicheliolide). Leaves gave a polyisoprenoid, beta-sitosterol and liriodenine. Mono-and sesquiterpenes occur in essential oils isolated from the flowers, leaf and fruit ring.